First Christian Church - SERMONS - What Difference Does It Make? HE’S ALIVE! JESUS CHRIST HAS RISEN FROM THE DEAD! HEAVEN’S GATE IS OPEN WIDE! HE’S ALIVE! Sadly, as people think about the season the world calls “Easter”, the thoughts of people are going to be more upon a bunny, eggs, and a basket than upon the resurrected Lord. The resurrection is not a fairy tale, it is not some made up Christian belief, but it is a historical fact. It’s an important question: just what difference does the Resurrection make!? It deserves an answer. We will consider four differences the resurrection makes, but first of all, let’s remember what happened. Luke 24 On the first day of the week, very early in the morning, the women took the spices they had prepared and went to the tomb. They found the stone rolled away from the tomb, but when they entered, they did not find the body of the Lord Jesus. While they were wondering about this, suddenly two men in clothes that gleamed like lightning stood beside them. In their fright the women bowed down with their faces to the ground, but the men said to them, "Why do you look for the living among the dead? He is not here; he has risen! Remember how he told you, while he was still with you in Galilee: 'The Son of Man must be delivered into the hands of sinful men, be crucified and on the third day be raised again.' "Then they remembered his words. When they came back from the tomb, they told all these things to the Eleven and to all the others. It was Mary Magdalene, Joanna, Mary the mother of James, and the others with them who told this to the apostles. But they did not believe the women, because their words seemed to them like nonsense. Peter, however, got up and ran to the tomb. Bending over, he saw the strips of linen lying by themselves, and he went away, wondering to himself what had happened. Now that same day two of them were going to a village called Emmaus, about seven miles from Jerusalem. They were talking with each other about everything that had happened. As they talked and discussed these things with each other, Jesus himself came up and walked along with them; but they were kept from recognizing him. He asked them, "What are you discussing together as you walk along?" They stood still, their faces downcast. One of them, named Cleopas, asked him, "Are you only a visitor to Jerusalem and do not know the things that have happened there in these days?" "What things?" he asked. "About Jesus of Nazareth," they replied. "He was a prophet, powerful in word and deed before God and all the people. The chief priests and our rulers handed him over to be sentenced to death, and they crucified him; but we had hoped that he was the one who was going to redeem Israel. And what is more, it is the third day since all this took place. In addition, some of our women amazed us. They went to the tomb early this morning but didn't find his body. They came and told us that they had seen a vision of angels, who said he was alive. Then some of our companions went to the tomb and found it just as the women had said, but him they did not see." He said to them, "How foolish you are, and how slow of heart to believe all that the prophets have spoken! Did not the Christ have to suffer these things and then enter his glory?" And beginning with Moses and all the Prophets, he explained to them what was said in all the Scriptures concerning himself. As they approached the village to which they were going, Jesus acted as if he were going farther. But they urged him strongly, "Stay with us, for it is nearly evening; the day is almost over." So he went in to stay with them. When he was at the table with them, he took bread, gave thanks, broke it and began to give it to them. Then their eyes were opened and they recognized him, and he disappeared from their sight. They asked each other, "Were not our hearts burning within us while he talked with us on the road and opened the Scriptures to us?" They got up and returned at once to Jerusalem. There they found the Eleven and those with them, assembled together and saying, "It is true! The Lord has risen and has appeared to Simon." Then the two told what had happened on the way, and how Jesus was recognized by them when he broke the bread. While they were still talking about this, Jesus himself stood among them and said to them, "Peace be with you." They were startled and frightened, thinking they saw a ghost. He said to them, "Why are you troubled, and why do doubts rise in your minds? Look at my hands and my feet. It is I myself! Touch me and see; a ghost does not have flesh and bones, as you see I have." When he had said this, he showed them his hands and feet. And while they still did not believe it because of joy and amazement, he asked them, "Do you have anything here to eat?" They gave him a piece of broiled fish, and he took it and ate it in their presence. He said to them, "This is what I told you while I was still with you: Everything must be fulfilled that is written about me in the Law of Moses, the Prophets and the Psalms." Then he opened their minds so they could understand the Scriptures. He told them, "This is what is written: The Christ will suffer and rise from the dead on the third day, and repentance and forgiveness of sins will be preached in his name to all nations, beginning at Jerusalem. You are witnesses of these things. I am going to send you what my Father has promised; but stay in the city until you have been clothed with power from on high." Difference #1.THE RESURRECTION IS PROOF THAT DEATH IS NOT THE END. The secular society of today says that our life ends at the moment of our death. School books talk about evolution, to which life is the stage for the next genetic generation to evolve and the last generation to die off. Movies and songs tell us that death is the end. Only in the Bible do we learn the Truth, that God, who created us, intends that we all live forever….including the lost. The question each of us needs to ask ourselves is where am I going to spend eternity. Cynics say that Jesus didn’t die on the cross…that was just a myth. They say Jesus just swooned on the cross and that the disciples nursed Him back to health. What do you think? He was beaten with a cat-of-nine tails with 39 flesh-tearing strokes, nailed to a cross, hung in the sun for six hours, a spear was thrust into His side--up and under His ribcage and into His vital organs, and He was put in an airless tomb for three days with a Roman guard preventing any tampering!” Now after all that was done to Him, did He die or just faint? The cynics’ story sounds more like a myth to me, certainly not something that people would die for rather than renounce it. No, every one of the disciples gave their lives for preaching the resurrection because it was undeniably true. They witnessed it. They didn’t make it up and die for a lie. Nobody does that. At first, everyone thought Jesus was defeated. The world of Jesus’ day rejoiced that this guy who claimed to be the Son of God now was dead. The disciples thought Jesus had lost. But then, after three days the message became clearer, that death could not hold Jesus. He arose! Jesus conquered death! No one else has ever done that! Romans 6:9 For we know that since Christ was raised from the dead, he cannot die again; death no longer has mastery over him. 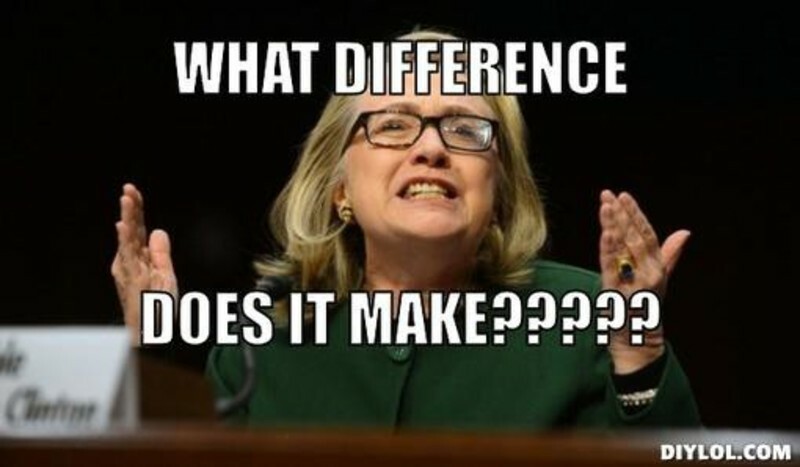 What difference does that make? Well, like it or not, we are all going to physically die at some point in time. However, because Jesus rose from the dead, death cannot hold us either. Jesus’ resurrection from the dead was a victory over sin, death, and the devil, and He provided that victory for mankind. Here’s what difference it makes: our physical death from this life is not our end, we too will rise again. I Corinthians 15:48-58 As was the earthly man, so are those who are of the earth; and as is the man from heaven, so also are those who are of heaven. And just as we have borne the likeness of the earthly man, so shall we bear the likeness of the man from heaven. I declare to you, brothers, that flesh and blood cannot inherit the kingdom of God, nor does the perishable inherit the imperishable. Listen, I tell you a mystery: We will not all sleep, but we will all be changed--in a flash, in the twinkling of an eye, at the last trumpet. For the trumpet will sound, the dead will be raised imperishable, and we will be changed. For the perishable must clothe itself with the imperishable, and the mortal with immortality. When the perishable has been clothed with the imperishable, and the mortal with immortality, then the saying that is written will come true: "Death has been swallowed up in victory." "Where, O death, is your victory? Where, O death, is your sting?" The sting of death is sin, and the power of sin is the law. But thanks be to God! He gives us the victory through our Lord Jesus Christ. Therefore, my dear brothers, stand firm. Let nothing move you. Always give yourselves fully to the work of the Lord, because you know that your labor in the Lord is not in vain. Difference #2.THE RESURRECTION IS EVIDENCE OF THE EXISTANCE OF ETERNAL LIFE. The resurrection of Jesus is proof that there is something after death. Hebrews 9:27-28 Just as man is destined to die once, and after that to face judgment, so Christ was sacrificed once to take away the sins of many people; and he will appear a second time, not to bear sin, but to bring salvation to those who are waiting for him. “And as it is appointed unto men once to die, and after that to face judgment.” This verse tells us that we all have an appointment with something after death, called the judgment. You see, what we do in this life makes a difference after death. Unbelievers think that once you die, that’s it, that no matter how you lived your life on earth, whether as a saint or as a devil, we all are faced with the same demise. We all are buried and then forgotten about. But the resurrection of Jesus Christ proves there is eternal life. That makes a big difference. The death of our body is not the end, and there are consequences for our choices, while in the body, that will affect our eternal life after our bodies die. Our bodies dies because they are unfit for eternity. Jesus did not inhabit his old body after the resurrection and neither will we. We will get a body like Christ—a glorified body, which will be immortal. The Scriptures tell us some exciting things about how His body changed at the moment of His resurrection: Mary Magdalene, who knew Him well, didn’t recognize Him; He walked some distance with a couple disciples to Emmaus and they didn’t know Him; He disappeared only to reappear in a locked and crowded room; He was touchable; Thomas felt His wounds; He cooked and ate fish with the disciples along side of Lake Galilee; He ascended in to glory in the same body He was resurrected. Throughout the Bible, we can read of several occasions where someone was raised from the dead by a prophet, Jesus, or one of the disciples. There is one thing though about all these people--they all rose to life, but it was just temporary. All of them would one day die again. However, Jesus’ resurrection was unique because no one had to raise Him; He rose on His own power, never to die again, proving He was God in the flesh. The resurrection of Jesus Christ is the most important event in all of history. It is because of the resurrection that we are able to be saved from eternity in Hell. The death of Jesus on the cross was important to pay for our sin, but it is His resurrection, which brings about our justification. Justification means God sees us just as if we hadn’t sinned. Jesus paid the penalty for our sin on the Cross and God justified all who believe and are baptized through Jesus’ resurrection. I Peter 3:18-22 For Christ died for sins once for all, the righteous for the unrighteous, to bring you to God. He was put to death in the body but made alive by the Spirit, through whom also he went and preached to the spirits in prison who disobeyed long ago when God waited patiently in the days of Noah while the ark was being built. In it only a few people, eight in all, were saved through water, and this water symbolizes baptism that now saves you also--not the removal of dirt from the body but the pledge of a good conscience toward God. It saves you by the resurrection of Jesus Christ, who has gone into heaven and is at God's right hand--with angels, authorities and powers in submission to him. The reason why we are enabled to come to Christ and find that saving power at our baptism is because of the resurrection of Jesus Christ from the dead! Difference #3.THE RESURRECTION IS THE GLIMPSE OF GLORY WE HOPE FOR. If you want to learn about what heaven is like, just read about Jesus. When you have questions about what happens when you die, just read about Jesus. When someone argues with you over Heaven and Hell, just read to them about Jesus! He is our hope, our power, and He is what separates us from all other religions in the world. Because of the resurrection of Jesus, we have hope of Heaven. He has gone to prepare a place for us. We are assured that God exists and He is alive, interceding for us at the throne of the Father. Furthermore, His resurrection validates all the miracles and the powers that Jesus demonstrated. They were not tricks, stories, or fables made up by men, and we can know that they really happened because He really did rise from the dead. We are going to spend eternity somewhere. Jesus’ resurrection makes a difference for those who believe. It assures our future in Heaven with Christ, but it also makes it possible for His life to abide in us now. After Jesus rose from the dead and ascended into Heaven, the disciples stood gazing into the Heavens. As they did that, an angel appeared to them and assured them that this same Jesus, who they saw rise into the Heavens, will come in a like way. For those of us who believe in a resurrected Lord, we anticipate His return. Sometimes we can get tired and weary, but His resurrection makes a difference—it is not a false hope—He is alive and He is coming. Even when we start to give up hope, to feel that God has forgotten us, abandoned us to dark and hurtful experiences, the resurrection makes a difference by giving us the assurance that someday, we will see our Savior face to face and be liberated from the distresses of this life. Difference #4.THE RESURRECTION MAKES WHAT JESUS DID ON THE CROSS WORTHY OF US GIVING OUR LIFE TO HIM. The resurrection proves that Jesus was not a lost cause at the crucifixion. When Jesus died, He gave His life. No one took His life. Jesus gave His life as a ransom. Matthew 20:28 just as the Son of Man did not come to be served, but to serve, and to give his life as a ransom for many. Jesus is letting us know that He has power to not only lay His life down, but more importantly, the power to take it again, or in other words, to raise Himself up. Jesus performed many wonderful miracles throughout His life. He raised the dead back to life; He healed the sick; He cast out demons and gave sight to the blind. But the greatest miracle He did is His resurrection from the dead. Moreover, Jesus is still resurrecting the dead today! Matthew 16:24-26 Then Jesus said to his disciples, "If anyone would come after me, he must deny himself and take up his cross and follow me. For whoever wants to save his life will lose it, but whoever loses his life for me will find it. What good will it be for a man if he gains the whole world, yet forfeits his soul? Or what can a man give in exchange for his soul? In order for us to follow Jesus, we must deny ourselves, take up a cross, and lay our life down. We must die to self. We must die to Satan. We must die to the world. Do you get the point? In order for us to live, we must die to self, the devil, and the world. That is why we get baptized. Jesus will resurrect us from the watery grave and give us a new life, born of the Holy Spirit, so that we have power to live victoriously. It is important after baptism to live after the Spirit and not resurrect the old sinful life. By the way, do you know what you have to do to go to Hell? Nothing! We are all condemned to go there, but the resurrection of Jesus Christ makes a difference. It provides us a way out of Hell if we will take it. John 3:17-19 For God did not send his Son into the world to condemn the world, but to save the world through him. Whoever believes in him is not condemned, but whoever does not believe stands condemned already because he has not believed in the name of God's one and only Son. This is the verdict: Light has come into the world, but men loved darkness instead of light because their deeds were evil. Rom 10:9-11 That if you confess with your mouth, "Jesus is Lord," and believe in your heart that God raised him from the dead, you will be saved. For it is with your heart that you believe and are justified, and it is with your mouth that you confess and are saved. As the Scripture says, "Anyone who trusts in him will never be put to shame." This is Resurrection Day. This is a day that we celebrate and remember that Christ conquered death when He rose from the dead. Praise the Lord that He conquered sin, death, and the devil! And because He conquered those things, the second greatest miracle is possible when we are born again of the Holy Spirit. When we arise out of the watery grave of baptism, symbolizing the resurrection of Christ, we arise with Christ to die no more! The reward for giving your life to Jesus is that we abide eternally with Him now and when we leave the body behind. John 6:40 For my Father's will is that everyone who looks to the Son and believes in him shall have eternal life, and I will raise him up at the last day. Our bodies will be resurrected one day. It will not be this mortal body, but a glorified immortal body, just like Jesus has. Again, the question is: Will you be resurrected to spend eternity in Heaven or in Hell? There is life after death and we will all face the judgment. Will Jesus be your advocate at the judgment and announce “Well done, good and faithful servant”, or will He say “depart from me—I never knew you?” You can determine that today. John 11:25-26 “I am the resurrection and the life. He who believes in me will live, even though he dies; and whoever lives and believes in me will never die. Do you believe this? If you have never given your life to Jesus, repent of your sin, and give your life to Him through baptism. He will give you His life, eternal life, by giving you the Holy Spirit. If you have given your life to Jesus, are you following Him, or have you wandered off the narrow path? Repent and return to your first love, Jesus Christ, ask the Father to forgive you and fill you with the Holy Spirit, pick up your cross, and begin following Him obediently once again. In either case, this is your day to be resurrected from the death caused by sin.